The Crocketts & Charlotte Knights | Crockett Foundation - Tag In & Help Out! The Crockett Foundation has been around for over 20 years. It all started with Jim and Elizabeth Crockett wanting to expand the impact they could make on people suffering from mental health issues. Crockett Park became one of the most important venues in this quest. Lib Crockett would hold annual bar-b-ques there and the baseball team and fans always showed up in force to help such a good cause. 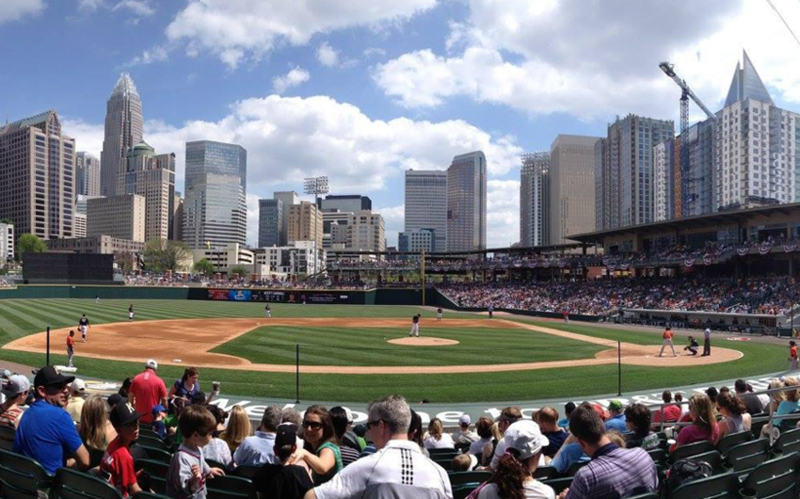 The Foundation is now hoping to reestablish the link between baseball and the mental health of veterans by working with the Charlotte Knights and other major and minor league teams across baseball. Professional baseball has a long standing tradition of helping veterans and holding games dedicated to veterans service. In the military. It is now time for the Crockett Foundation to get back in the game.